It’s easy to be cynical and to think the event is just 72 hours of boozy carnage; but it’s not without point. In just 3 days I met over 500 new faces, formed significant personal friendships and established first hand, contacts that will feed into my business development team for years to come. Rather unexpectedly I also spent more quality time with existing customers than I ever could in the UK in ‘normal’ daylight hours, which opened up opportunities that otherwise may have taken years to foresee. MIPIM creates, as if by magic, an intense festival feel around what might otherwise be a very dull industry environment. Where networking isn’t painful but somewhat pleasurable, allowing the exchange of thousands of business cards and the creations of hundreds of deals on every level, including the 18 Euro pint, which I’m sure will be adjusted for inflation in years to come. The 64,000-dollar question is ‘As a MIPIM virgin, would I go again?’ Unquestionably, yes. 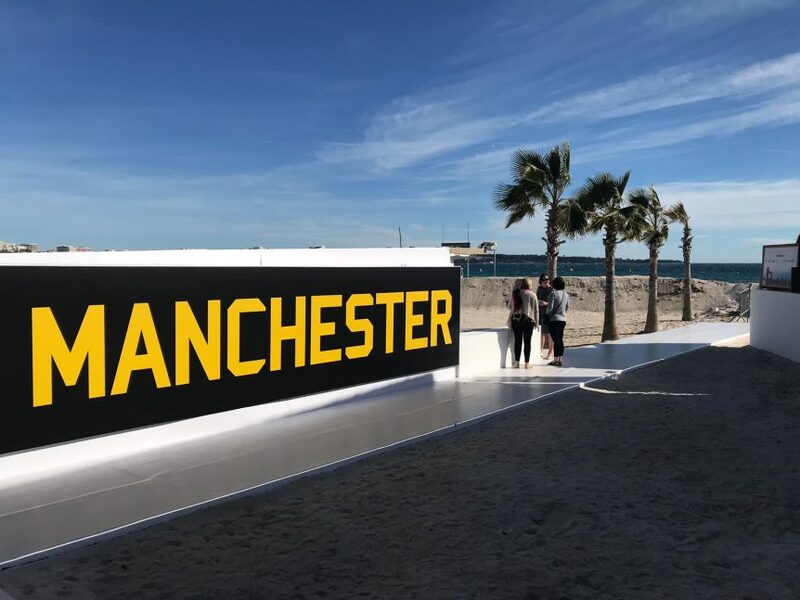 As with all great things, the value of MIPIM may well not be immediately apparent; it may take time to develop these relationships and opportunities. Then again, I don’t expect Tony Wilson ever thought his stint on ‘Look North West’ – an early evening news programme – would lead to a major movie where he’s played by Steve Coogan. Or that the Manchester band New Order would write ‘World In Motion’ for the England World Cup squad. Or – best of all – that the very city of Manchester itself would honour his cultural contribution by building a £140 million creative hub to produce even more new ideas and enterprise, a space large enough to house a Boeing 747 and/or possibly the ego of the entire property industry. Or, should Manchester simply leave that to MIPIM? An event which seems to have found a way to facilitate that rather well.